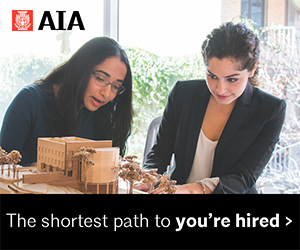 AIA Seattle is a member-led organization that depends on volunteer leadership and initiative. We are deeply grateful for the enormous energy and effort our board members and other volunteer leaders devote to our organization. 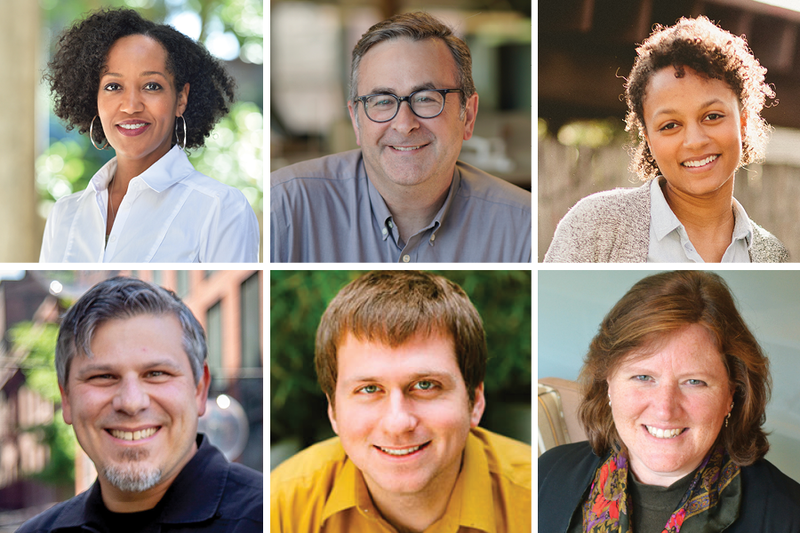 AIA Seattle’s Board Nominating Committee is pleased to present this slate of accomplished members to fill open seats on our Board of Directors beginning September 1, 2018. Our nominating committee – Ron Rochon FAIA (Chair), Vicki Ha AIA, Stephen Jablonsky, Amy Janof AIA, and Tom Marseilles – solicited board nominations from the membership in January, and believes this slate of nominees possess the skills and commitment to move AIA Seattle forward. Voting opened May 25 and closed on June 18, 2018. 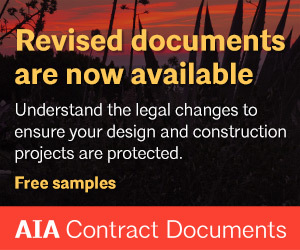 All AIA and Associate AIA members were eligible to vote. Meredith has over 23 years of experience in the architectural profession, with an emphasis in multi-family and commercial design. Meredith joined Baylis Architects in 2005. She became an owner with the firm in 2009, and, in 2017, transitioned to the position of President and Managing Partner. She was named the AIA Seattle Young Architect 2009, and has a long history of involvement with the AIA Seattle Diversity Roundtable, where she served as Chair from 2015-2017. Her professional experience includes all phases of the design process, from site evaluation and feasibility studies through construction administration. Meredith’s projects have included renovation and new construction of offices, banks, retail centers and industrial warehouses, and she has experience in a variety of construction systems including light wood frame, steel, concrete and pre-engineered metal buildings. Meredith emphasizes sustainable design techniques as a cost-saving approach as well as an environmental responsibility. Statement of Interest: My recent participation with AIA Seattle has been deeply rewarding and my outlook on the architectural profession was enriched through interactions with talented colleagues and exposure to many meaningful AIA Seattle initiatives and programs. 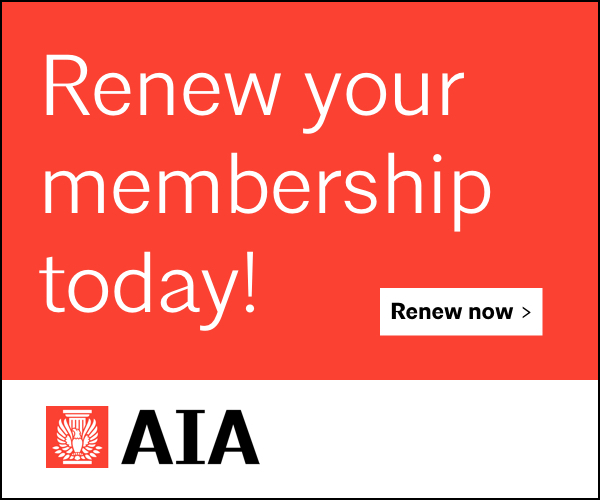 I am interested in serving on the AIA Seattle Board of Directors because I want to contribute to the overall success and growth of the organization. I also want to be an advocate for diversity within the profession and for environmental sustainability. These are long held interests exhibited by my experience as co-chair of the Sustainability Committee for NAIOP WA for two years, and as board member for Friends of the Children for over ten years. I think AIA Seattle can work on deepening the engagement of diverse groups of young people in the profession. Fostering this interest early and supporting them through college, early career and into leadership positions can have a powerful, positive impact on our communities. Rob has been with The Miller Hull Partnership since 2002 and was invited to be a Partner in 2016. His career has tended toward the management and practice side of architecture, and he leads Miller Hull’s Delivery group, which focuses on issues related to quality, technology, expectations for delivery, and improving staff understanding in each of these areas. Rob is also a leader in Miller Hull’s Serve marketing group, a team which focuses on projects related to infrastructure, U.S. gateways and public safety. His recent projects have included border crossings, embassies and other civic/public works. Statement of Interest: I’m interested in developing a deeper relationship with my architectural peers in the Seattle area, and I believe AIA Seattle should continue to further issues related to equity, diversity and inclusion. Victoria has worked in the development industry in just about every facet of the industry: as owner, real estate developer, landscape architect and now contractor. For the last 4 years, Victoria has been building Sellen’s design-build portfolio. Recent projects include an office building on the Capitol campus in Olympia with ZGF & a 12 story office building in South Lake Union with Olson Kundig. Prior to Sellen, Victoria was a development manager for Vulcan for 10 years leading design & construction teams to create UW Medicine’s research facilities in South Lake Union. She also worked with Institute for Systems Biology, PATH and the Allen Institute for Brain Science on their new homes. Victoria’s laboratory knowledge niche was started when she worked in Immunex & Amgen’s capital projects groups. Victoria’s first career was as a landscape architect in Oregon and San Francisco, CA. 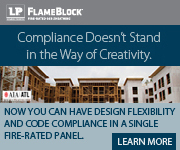 She is a licensed landscape architect, accredited LEED AP, and DBIA member. Statement of Interest: I am very happy to be asked to serve on the AIA Seattle Board of Directors. I have always had a passion for creating places for people to work and live. I firmly believe the good design benefits us on multiple levels. When I worked on the staff of AIA San Francisco in my 20’s, I supported efforts to start their SF Architectural Foundation. One of its goals was to educate the public about architectural design. I gained a passion for advocating for good design. Whether it be in the public realm or the private sector, AIA Seattle can be the community’s to advocate for design. I think AIA Seattle can lead the discussion about design no matter where it shows up: in the land use code, affordable housing, public gathering spaces or energy efficient buildings. Myer’s work as a Principal & Director of Sustainability at Weber Thompson is primarily in urban, mid-rise, commercial office projects with ambitious environmental goals. He was named the AIA Seattle Young Architect 2011, and has been active in the local community through volunteer work on boards and committees. In recent years he has co-instructed architecture studios at the University of Washington’s College of Built Environments. Myer was a member of the design team for the award-winning Eco-Laboratory, which won the national USGBC 2008 Natural Talent Design Competition, and was included in the Cooper Hewitt’s 2010 Design Triennial Exhibit. 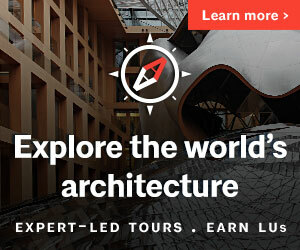 Myer received a Bachelor of Science in Architecture degree with Philosophy citation at the University of Maryland in 2002, and a Master in Architecture degree at the University of Washington in 2005. Statement of Interest: I’ve had the pleasure of serving on the AIA Seattle Board of Directors for the past two years, and find it to be personally and professionally rewarding. Because it is such a high-functioning non-profit organization, I feel that my voice is heard and I am able to contribute my unique perspective to the conversation. AIA Seattle should be (and has already been, very effectively) working on issues that are specific to Seattle: intense growth and urban development, housing affordability, transportation and urban mobility, climate change and resilience, the public understanding of architects and architecture. 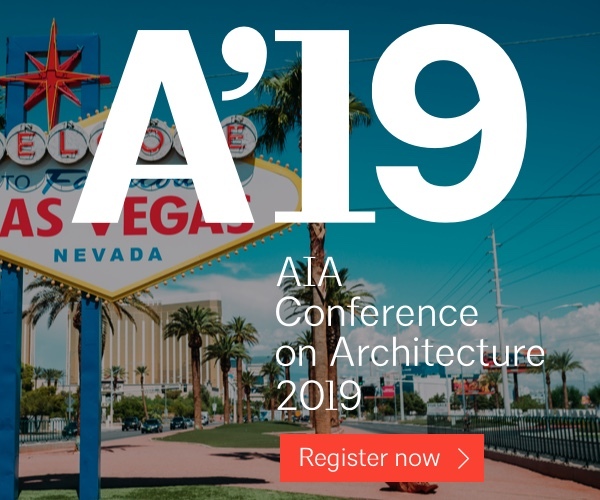 As well, they should (continue to) reach out beyond the chapter boundaries of Seattle, to the State of Washington, region, and U.S., as thought leaders and champions for the organization and the profession of architecture. They should also continue to strive for better equity and diversity within the profession. Margaret graduated from Cornell University’s College of Architecture, Art and Planning in 2012, after which she spent a summer abroad working with Kounkuey Design Initiative to conduct participatory design workshops outside of Nairobi, Kenya. She relocated to Seattle shortly after and has most recently been engaged in affordable housing and community-focused projects at Schemata Workshop. Margaret is co-chair of AIA Seattle’s Diversity Roundtable committee where she works to encourage and promote diversity within the architectural profession. Statement of Interest: I have spent the past three years as a member of AIA Seattle’s Diversity Roundtable (DRT) Committee, working to empower individuals of underrepresented backgrounds in Seattle’s architecture profession. Through the DRT’s various programs, I have been engaged in attracting new diverse talent, showcasing the work currently being done by minority and women architects, and providing platforms for discussing diversity in the larger context of architectural practice in the Pacific Northwest. I would like to continue advocating for these important issues as a member of the AIA Board, and am hoping to bring a perspective to the table which helps further AIA Seattle’s engagement and support of younger architects and architects of color. I think this is an important perspective to highlight in a city currently focused on equity and inclusivity, and hope to help AIA Seattle work towards achieving these same goals for the profession in a thoughtful and impactful way. Osama Quotah, AIA, LEED AP is a Principal at LMN Architects. Osama’s professional career has included a wide range of projects in the U.S. and abroad that have focused on cultural sensitivity, sustainability and community-based design solutions. Recent project work includes the Seattle Aquarium Ocean Pavilion, the Seattle Academy (SAAS) Middle School, and the conference center renovation at Pier 66. Osama has been intimately involved in the larger planning and development issues facing our city through his work as a board member on the AIA public policy board, and through his past work on the Yesler Terrace Citezen’s Review Committee, the Light Rail Review Panel, and as chair of the Seattle Design Commission. Statement of Interest: I hope to support the AIA Seattle Board in engaging, framing the debate, and providing leadership on civic issues related to the built environment, urban design, transportation, and sustainability, while focusing on positive change through the power of design.